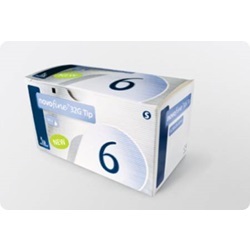 Disposable NovoFine insulin pen sterile needle, 32 gauge 6mm. Comes in a box of 100. 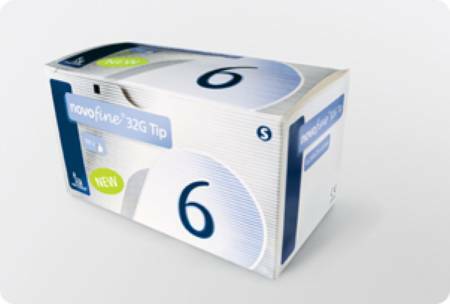 Manufactured by Novo Nordisk Pharmaceutical. Short bevel and thin wall technology improves growth hormone flow for a more comfortable injection.